zip rar tool is the Best ZIP/UnZip/UnRAR/Un7z tool for iphone and iPad. The prefect tool combine with ZIP/UnZip/UnRAR/Un7z, Cloud Storage(DropBox/Box) , office file viewer , File Manager and Media Player . It can satisfy all your desire. 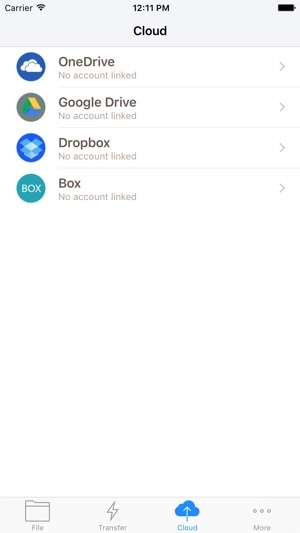 -The app allows you to send or download files to/from Dropbox,Box. -Wifi-Transfer function , let you can send and download files to/from your PC or Mac. 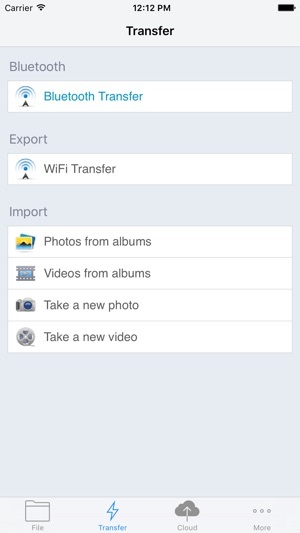 -Import and Compress photos and videos from Camera Roll. -Imprt and Compress photos and video from Photo Album. It is the easiest way to manage your ZIP files on iPhone and iPad. - fixed OneDrive login issue. I needed a simple way to unzip files on my iPad and iPhone. This app solved my problem. I tap on the zip file, whether in an email or on Safari, hit 'Open In' and get a menu pop up that shows my options. I hit Zip Tool and my files are automatically loaded into the app. It asks if you want to unzip the file. I'm usually opening small files so it's unzipped quickly. There's a surprising amount of features packed into this free version. I haven't gotten to them yet for testing. Bottom line, if you need an easy way to work with zip files, this app is the solution. UPDATE! Still LOVE LOVE LOVE this app!!! Been months now since I downloaded! Absolutely the best most simplest app ever!!! I have been using this app pretty often for the past two weeks and it is awesome! Only improvement would be fewer full page pop up ads. Zip files confuse and confound me... this app is so easy. I just download whatever zipped file from the webpage and it opens up the app and the app automatically asks whether I want to unzip file "Yes!" and it's done! Literally, all zip files accessible in as little as three taps. Can’t figure out how to move to folders from main folder...only if I have the folder and move files from OUTSIDE the app. Can’t figure out how to zip more than one file at a time into a single file. I select the files but only one will zip into a zip file. This is a problem when I have hundreds of files and zipping a single file into a single ZIP file would take a lifetime! Was trying to figure it out before reviewing but the pop up wouldn’t leave me alone and I am frustrated enough with this issue I have now given the condensed version of. So here’s the review as things currently stand.